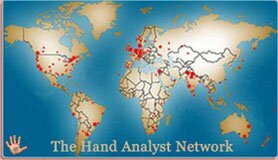 Hand Reading experts in Israel: 19 hand readers! PsychoDiagnostic Chirology beginners course presented by Anat Levy! PsychoDiagnostic Chirology (PDC) - a full review! Arnold Holtzman from Yehud, Israel presents PDC Hand Reading.